The first white person to see the shores of Skagit County is believed to have been Lt. Salvador Fidalgo of the Spanish Navy in 1790 on one of Spain's claiming expeditions, which had begun 20 years previously. The English reached our county two years later in 1792 when Capt. George Vancouver made such a thorough exploration of the whole Sound area and contributed so many lasting names such as Puget, Baker, Rainier, Townsend, Bellingham and Whidbey. Looking back to the Territorial year, 1853, we can see many events taking place that had their effect on Skagit's development. March's Point, where history is being made today by the oil industry, is reported by good authority to have been first settled in 1853 by Enoch Compton and John Carr [Wellman suspects that his name was Jim] on what later became the Munks' place. But due to dangerous Indians, they were forced to move to Whatcom where Carr died. The Indian War [1855-56] came to a head with Compton enlisting. Then in 1859 he returned to find William Bonner on his old place. That same year Josiah Larry [actually Josiah or Joe Leary] had squatted on a place on the point, built a shake cabin and departed, expecting to return. In the meantime, however, Compton, thinking Larry had abandoned his claim, took the place and established permanent residence on it. Larry did return two or three years later, found his place occupied and quietly retired, settling some time later on the mainland at the mouth of what is still called Joe Larry Slough on Samish Flats. In April of 1853, Lt. A.V. Kautz of the U.S. Army stationed at Steilacoom took 10 men, a guide and a month's supplies in a sailboat to capture an Indian murderer on Whidbey Island and also to stop the sale of liquor to natives. The prisoner later escaped and they proceeded on through and they proceeded on through Deception Pass and Swinomish Slough to Bellingham Bay. The lieutenant wrote in his diary as he passed the LaConner area: "White men have not yet thought of settling on these rich flats." Stopping on Camano Island on the return, he heard of the presence of the slayer on Kikialis Slough down on Fir Island but weather and tides at the mouth of the Skagit River caused him to give up any further attempts. The settlers later caught and executed the Indian murderer at Penn's Cove, now Coupeville. Utsalady That same year, 1853, Lawrence Grennen [most sources spell name as Grennan], a logger from Wisconsin, purchased the timber and mill site at Utsalady, but it took five years to get the mill going. He died in 1869. His partner, Tom Cranny [actually Cranney], carried on alone, then in the winter of 1875 a ship sank in a collision off Cape Flattery with the loss of nearly all aboard, including the mill manager and much of the cash and credits of the company. The firm never recovered and the next year passed into the hands of Puget Mill Company, which had come to Port Gamble in our Territorial year. Several early employes of the mill crossed over the bay in canoes at various times to the Skagit side exploring the possibilities of settlement there. One mill man, William Bonner, went to march's Point in 1859 and settled on the place vacated by Compton and Carr five years earlier, then sold his rights the same year to William Munks for $60 and a silver watch. Munks was the first postmaster at the post office called Fidalgo [Dec. 27, 1870] and is still credited with being the first permanent settler. Another early March's Point settler was Robert H. Davis [1824-1865], lieutenant in the U.S. Army and a nephew of Jefferson Davis, president of the Southern Confederacy. Lt. Davis later left to take an illustrious part in the Civil War. Charles W. Beale was another neighbor squatter of 1859. H.A. March, namesake of the point, homesteaded in 1863. 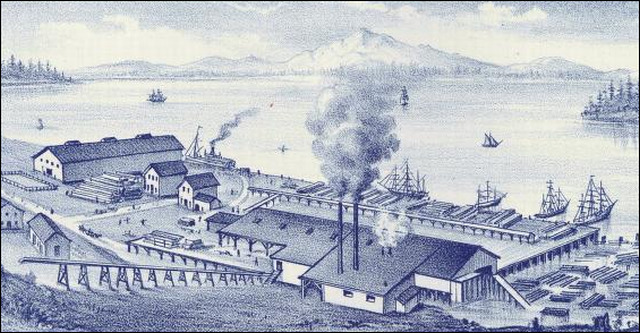 Two other Utsalady mill workers, Mike Sullivan and Sam Calhoun, were attracted across Skagit Bay to the rich tidelands of LaConner Flats and both settled in 1868 in neighboring places to become to become the first to dike and develop the valley farmland. Whidbey Island, however, was the main stepping-off place in the Skagit settlement of that period with [Messrs.] Hastie [who will be featured in a future issue], Ovenell and Cornelius, all Whidbey pioneers of the 1850s. Many other families contributed much to our county's development. Alonzo Low started the first trading post in 1867, called the Swinomish Post Office, but J.s. Conner bought it in 1869 and changed the name to LaConner to honor his wife, Louise Agnes. Today we find the history of our state well recorded and there are several museums with hundreds of historical relics preserved, notably in Seattle, Bellingham and Olympia. But much remains to be done. A good start has been made on the marking of historical spots by the state, but we are far behind many other states, especially in the East and South. Out in the West the markers in New Mexico, Utah, Montana and California are outstanding. For several years, some individuals have advocated a museum for Skagit County. The Daughters of the Pioneers [Territorial Daughters] have now taken it up, but it is a project that cannot be hastily conceived. Most members of pioneer families have old keepsakes or relics that would add up to a very interesting collection, but the care and maintenance of such an exhibit would be expensive. Whatever group or organization wanted to undertake it, would have to solve the financing of it. Some counties or cities incorporate exhibits in public buildings, even Skagit courthouse has a tiny show in its lobby. One party a few years ago advocated that Mount Vernon should construct a replica of George Washington's home on the Potomac at a civic center and such a unique structure could very well tie in with a museum, too, even our new county fair could consider it. But the one thing most old-timers can do is prepare material on hand for identification in the days ahead, Many valuable and interesting old pictures from early days will cease to have any value if the subjects of photos are unknown. Also articles, large or small, that date back many years should have a written history attached to same, keeping alive the story of the relic. Perhaps one of the most valuable and authentic sources of pioneer history is in old scrapbooks and it is surprising the number that are in existence. Their accumulation of clippings tell many tales that are uncovered in no other way. I know, personally, that such books have been my best source for interesting material, and I think everyone of them should be preserved and made available for future generations. So, hang on to your old relics! And don't laugh, either. Look at the old cars 40 years old. Why didn't you just lock up that old Ford tin lizzie and get your money back today? Maybe the old home and barn, too, are worth hanging onto for a while yet. So let's all get antique- and relic-minded and help preserve the history of our beloved county. Shortly before he was born on May 16, 1894, the Skagit river flooded Fir Island in what was called a "spring freshet," leaving standing water all over the flat areas west of Mount Vernon to LaConner and all around Pleasant Ridge, where his father, Charles, leased a farm. That was the first of three floods that occurred in a stretch of four years. The flood of 1897 was the worst by far, especially upriver, but Conrad claimed that the flood of his birth year may have caused the most damage to the LaConner flats. 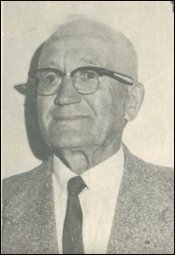 From 1933 to 1965 John F. Conrad operated his Chevron service station at the northeast corner of what was then called the Burlington road (now Hwy 20 in 2007) and Collins road a mile and a half west of Sedro-Woolley and a mile north of the original village of Sterling. He probably would have stayed in his rocking chair there until he died but on Feb. 15, 1965, a tractor-trailer semi jack-knifed after hitting a 1958 Chevrolet sedan driven by Dewey L. Guffey and slid into the building from the highway, shoving the car before it like a gigantic metal battering ram. The car went in the front door and exited out the back and was declared a total loss, as was the station. Luckily the station was closed at the time. We were most fortunate exactly a century after Conrad's birth to make contact again with an old childhood friend, Maurice Erickson, who grew up in our Utopia neighborhood. On a visit in 1994, he revealed to me that he had in his attic an old tin box, which he inherited because he was a nephew of Conrad, who had no children. The box turned out to be full of hundreds of pages of handwritten annual notes. The thrill I felt at finding those aged, handwritten sheets is one of the grand stories of this nearly 20-year project. We have used that resource countless times and in 2011, as part of our Journal "Giving Back to the Community" program, we donated the entire lot to the Skagit Valley Genealogical Society, where it will eventually be available in copied form for researchers. Salvador Fidalgo y Lopegarcia (1756-1803) Spain's claim to Alaska and the Pacific Northwest coast dated back to a 1493 papal bull and a 1494 Treaty. When Spaniard Vasco Núñez de Balboa, led the first European expedition to actually reach the west coast of North America in 1513, he claimed for the Spanish Crown the Pacific Ocean and all of the west coast of North America. Utsalady, the view looking north towards Mount Baker. This lithograph is from the 1889 book, History of the Pacific Northwest: Portland, by Elwood Evans, the one-time Washington Secretary of State. Click on the photo above to see a much larger panoramic version of the photo, which also shows the Port Gamble mill at Port Ludlow. 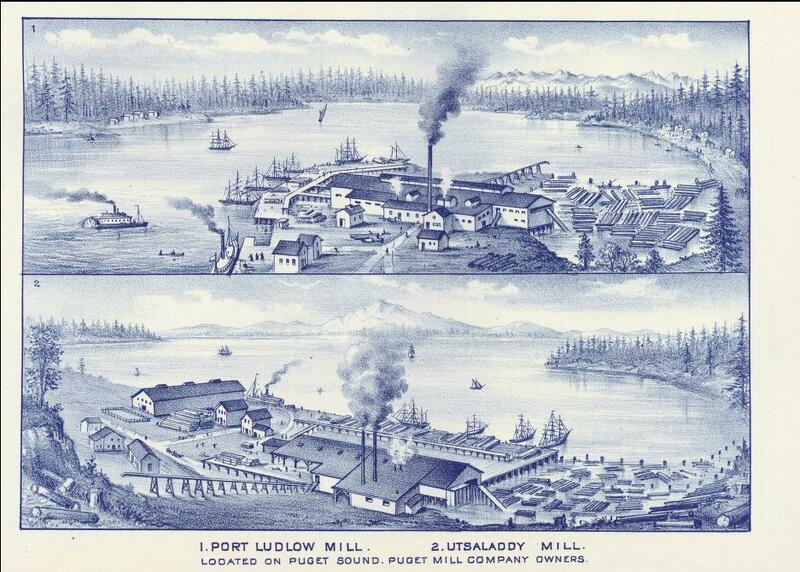 Lawrence Grennan and Thomas Cranney first located a mill site at Utsalady, on the northern shore of Camano Island, in 1853 but were delayed in actually finishing the mill until February 1858. Their first misfortune occurred in 1857 when Grennan returned from buying the mill's machinery from San Francisco and the transporting ship sprang a leak, forcing the crew to toss the mill machinery overboard. They had kept in business as retailers with a general store at Coveland, which also served as the Island County Courthouse, which is still standing in 2011. In his 1890 book, History of Washington, Idaho . . . Hubert Howe Bancroft stated that ships were also built and launched at the site, including the Hammond, Calhoun & Alexander's J.B. Libby in 1862 (December, a side-wheeler) and others over the next decade. The Libby burned in a spectacular lime fire on board near Whidbey Island in 1889 when the lime caught fire and the boat burned to water's edge. The partners were both from New Brunswick and their business almost failed in 1859 during the overproduction of wood. They had to mortgage the mill but then they became associated with Capt. Isaac Parker who shipped the first Northwest milled lumber to Shanghai on a windjammer. The partners also began building tugs and ships for transporting their lumber, including the Favorite in 1869, just before Grennan died at age 39 on Aug. 18, 1869, while on a business trip to Vallejo, California. In 1870, Cranney hired a clerk/manager named Colin Chisholm and by 1875 he was the third richest man in town, after Cranney and Grennan's widow. In early November that year, Chisholm boarded the side-wheeler steamship Pacific with the company's gold, cash and credit on the way to San Francisco to buy more machinery to expand the mill as orders built up. He joined miners carrying $250,000 in gold from mine districts. On the morning of November 4, near Cape Flattery in Clallam County, the Pacific collided with the bark Orpheus, and sank with a total loss, including Chisholm and the gold. Lt. Robert H. Davis We get several questions a year about Lt. Davis, the nephew of Jefferson Davis, who eventually became president of the Confederate States of America, and we have hesitated posting a profile of Robert because of conflicting information and because we know that researcher Candace Wellman is preparing a book about him and his fascinating family. We will briefly outline the results of our research and a few facts that Wellman kindly provided, and we are happy to correct the record in some cases. We also acknowledge the help of Dona VanVoorst, who also researched Davis in Mississippi and studied original records there before her stroke in 2008. 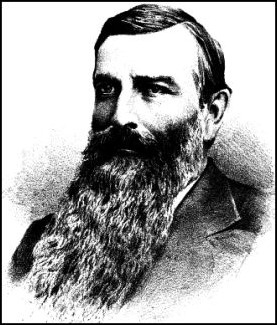 Robert Hugh Davis was born in Mississippi in 1824, so he was the same age as Sedro founder Mortimer Cook. His parents were Samuel A. and Lucinda Throckmorton Davis. Samuel was the older brother, by 19 years, of Jefferson Davis. One of Robert's siblings was Benjamin Throckmorton Davis (1820-1899), a '49er who later married in Oregon and died in Boise. We know little about Robert's childhood or education. The first official record is that he enlisted in 1846 in the 1st Mississippi Regiment, which was made up of "the best-born, best educated and wealthiest men in the state," according to Felicity Allen in her book, Jefferson Davis, Unconquerable Heart. The unit saw action in the Mexican-American war; his uncle Jefferson was an Army officer. Robert was discharged on Oct. 9, 1846, with a surgeon's certificate of disability. Davis returned to the Vicksburg area in Warren County, Mississippi, and appears from local records to have farmed at property owned by others in the family and to have owned slaves. In about 1856 he entered the military again, this time as a lieutenant and he was transferred to the Washington Territorial militia in Steilacoom. 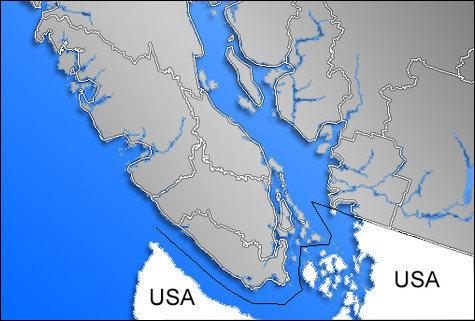 That was the time of the Indian Wars in the Northwest and the newly reconstituted Ninth Infantry Regiment sent George Pickett to build a fort on Bellingham Bay to establish a U.S. military foothold and protect the region's resources, in addition to protecting the settlers and the friendly Lummi tribe from Northern raiders. The 68 men of Company D, mostly Irish and German immigrants, accompanied him, according to Janet Oakley in a 2004 www.historylink.org article. First Lieutenant Robert H. Davis was one of the officers, along with Second Lieutenant J. W. Forsyth, who in 1890 would gain infamy at Wounded Knee. We have read several conflicting reports about the Davises from that time period, which we hope that Wellman will eventually clarify for everyone. One set of Jefferson Davis papers never mentioned in a profile on Robert that he ever left Mississippi. The controversy may have its roots in his marriage during this period to an Indian woman in Whatcom, circa 1857. Davis' Mississippi family never recognized his first marriage. Her name has been often written as Tol Stola. As Wellman has explained: "In Coast Salish culture, one's name is one's property, as are one's words. The names are passed down by ceremony, usually to a grandchild once the current name-holder has died." His wife preferred to be addressed by her Anglicized name, Caroline, and is often affectionately referred to as "Grandma Kavanaugh." Many records of her lineage are pock-marked with apocryphal claims that are misleading. For instance, although she was born the daughter of an important elder in her tribe, she was not a "princess," such as Percival Jeffcott and others claimed. Wellman suggests that readers who want to learn more about the early 1859 claim on March's Point should read the profile of Charles W. Beale in the 1906 book, Illustrated History of Skagit & Snohomish Counties. In there you will learn that Beale and Davis took squatters' claims on the property, which was right on the location where Caroline's family's village originally stood; by then it was a seasonal camp for agriculture on the nearby prairie. Her father was the local leader of a Samish band that lived on March's Point before their village was abandoned. Wellman notes that the point area was called Shais-quihl. Caroline's mother was Swinomish and that genealogical information corrects the record in several sources. She and Davis had a son, Sam, while together (probably in 1858, by Wellman's inference). Sam was killed in the accidental explosion of a boiler on the sternwheeler Josephine near Port Susan, between Marysville and Stanwood, on Jan. 16, 1883. By then Sam's surname was Kavanaugh. Caroline had remarried to James Kavanaugh, who lived on Fidalgo Island after he was at one time sheriff of Whatcom county. She died on Feb. 9, 1919, and is buried at Fern Hill Cemetery in Anacortes. Wellman confirmed that Robert returned to Mississippi sometime in 1861 around the outbreak of the Civil War — some records incorrectly claim he returned in 1859. In 1857 Davis resigned his U.S. Army commission after a dispute with Edmund C. Fitzhugh, the Indian Commissioner in Whatcom who also married an Indian woman, Julia, the daughter of Chief Sea-hom, the Indian name of the Samish chief whom the settlers lionized as Sehome and even named one of the early towns by that Anglicized name. Having lived with and worked with Indians from my teen years onwards, I concluded long ago that the least we can do in respect is to respect their own names. Like many others, I inferred from the record that Davis abandoned Caroline and the baby, but Wellman cautions not to make that conclusion. As she notes, Caroline saw him off at Port Townsend and he left money for their support. Caroline always said he intended to return; in fact they corresponded until the time of his capture. Wellman concludes that Davis just changed his mind once he was back home and saw how pretty Katherine Auter turned out. We know from various records that Davis returned to Vicksburg, Mississippi, and mustered into the Confederate Army during the Civil War as a lieutenant on Sept. 6, 1861. He also took out a marriage bond in Warren County on Dec. 14, 1861, to Katherine Auter, who was about 18 years younger. They married on an unknown date after that. VanVoorst discovered that his new wife was born on a relatively wealthy family in Cincinnati in 1844. Her father, Abraham Auter, was a riverboat pilot and later a business owner on land, with long-time residence in and connections with Vicksburg. According to the Jefferson Davis papers, Robert gained distinction during the war as the captain of Co. G, the Brierfield Defenders, 24th Miss Infantry. Brierfield was the area of Jefferson Davis' plantation during the formative years of his life. Robert was also an active recruiter and his command ended when he was captured just before a battle near Vicksburg on May 18, 1863, and was imprisoned for the rest of the war, released on May 9, 1865. He returned to Vicksburg to live with his wife and died there in December that year. Wellman says that his death was war-related but no record survives of its exact nature. We know only that the couple had no children together and that she died of yellow fever in Vicksburg in 1878.